Has Blue Buffalo Pet Food Ever Been Recalled? Yes, Blue Buffalo has been recalled many times throughout its history. Here is a comprehensive list of Blue Buffalo recalls. Blue Buffalo recalled one production lot of Blue Wilderness Rocky Mountain Recipe Red Meat Dinner Wet Food For Adult Dogs. The affected products were suspected to contain elevated levels of naturally-occurring beef thyroid hormones. Blue Buffalo issued a voluntary recall for its Blue Wilderness Trail Trays 3.5 Ounce Cups. The withdrawal was executed due to a quality issue with the foil seal on the top of the cups. Blue Buffalo issued another recall for one of its canned dog foods. The recalled items were suspected to contain aluminum metal. Name: Blue Buffalo Homestyle Recipe Healthy Weight, Chicken Dinner with Garden Vegetables. Blue Buffalo recalled the following dog food: Life Protection Formula Fish and Sweet Potato Recipe For Dogs. The company issued this recall because some of the affected products contained mold. Blue Buffalo recalled one production lot of Cub Size Wilderness Wild Chew Bones. The reason for this recall was a potential salmonella contamination. Routine testing at the manufacturing site revealed the presence of Salmonella in this product. Blue Buffalo recalled a limited number of Blue Kitty Yums Chicken Recipe Cat Treats. The products included in the recall may have contained low levels of propylene glycol. According to the FDA, propylene glycol cannot be added into any cat food product. The following are possible symptoms for cats that have consumed high doses of propylene glycol. The FDA tested these products in response to a single consumer complaint. The test results showed that the treats in question contained propylene glycol. In response to this complaint, Blue Buffalo voluntarily issued this recall. Blue Buffalo announced a dog food recall which includes three different varieties of dog food. The products were suspected to contain potentially toxic levels of vitamin D.
Blue Wilderness Chicken (4.5 lbs, 11 lbs, and 24 lbs). Best By Dates: JUL 12 11B, JUL 13 11B, JUL 26 11Z, JUL 27 11Z, JUL 28 11Z. Blue Buffalo recalled numerous dog foods, cat foods, and treats. The reason for this recall was melamine, which was responsible for hundreds of recalls in 2007. 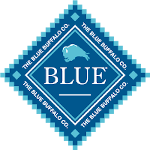 At the time of this recall, American Nutrition, Inc. was producing Blue Buffalo foods. The company is no longer associated with Blue Buffalo. Where is Blue Buffalo Pet Food Made? Blue Buffalo does not manufacture its own pet food products. Instead, Blue Buffalo chooses to outsource the physical manufacturing of its pet food to partners located in the United States. Blue Buffalo does not own its own manufacturing facility. Facilities which produce Blue Buffalo pet food could also produce pet food products for many other brands. In our opinion, this type of arrangement leads to an increased likelihood of manufacturing errors and contamination. Is Blue Buffalo Pet Food Safe? Blue Buffalo is one of the leading pet food brands in North America. Although the company is less than two decades old, they have already issued numerous dog food recalls and cat food recalls. We recognize that pet food recalls are inevitable and mistakes are bound to happen with any brand. However, it appears that the frequency of recalls for Blue Buffalo has recently increased. 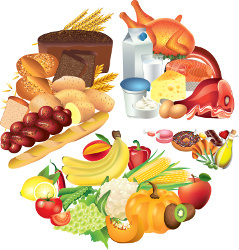 The brand sells more than 400 different varieties of dog food and cat food products. In less than two decades, Blue Buffalo has managed to become a multi-billion dollar pet food brand. This type of aggressive growth coupled with the fact that Blue Buffalo chooses to outsource its manufacturing could be the driving factor behind the increase in recall frequency. The Blue Buffalo 2015 cat food recall is a prime example of why outsourcing the manufacturing process is problematic. Not a single Blue Buffalo recipe includes propylene glycol as an ingredient on the label. However, we know that propylene glycol is permitted by the FDA as an acceptable ingredient in dog food. From these facts, one would suspect that propylene glycol entered the Blue Buffalo cat treats because the facility which produces Blue Buffalo cat treats also produces food for other brands. These other brands most likely add propylene glycol into their dog food products. If Blue Buffalo owned their own manufacturing facility, propylene glycol would never have entered the facility. These situations highlight the notion that the likelihood of contamination and quality control problems are higher for brands which choose to outsource manufacturing. Blue Buffalo has also been involved in some high profile lawsuits regarding false advertising of ingredients. Purina sued Blue Buffalo is 2014 claiming false advertising of pet food. Blue Buffalo was accursed of lying about its ingredients, specifically about not using chicken/poultry by-products. Blue Buffalo later acknowledge that a substantial portion of Blue Buffalo pet foods contained poultry by-product meal despite advertisements claiming the contrary. The company paid a settlement fund of 32 million dollars. Blue Buffalo claims that they did not intend to use poultry by-products. The inclusion of poultry by-products was the result of mislabeling by their ingredient supplier Diversified Ingredients Inc.
Blue Buffalo's reputation has certainly taken a direct hit by these lawsuits. We’ll have to wait and see how Blue Buffalo continues moving forward. Hopefully they address the quality concerns of customers with actions rather than words. Join more than 300 animal rescue organizations, veterinary clinic, and other pet related websites that are currently using the PawDiet Recall Widget. It's 100% free, customizable, and easy to add into any website.